Home » All subscription box news » Subscription Box Deals » FabKids BOGO Free Offer: Get 2 Stylish Outfits for Just $19.95 + FREE Shipping! 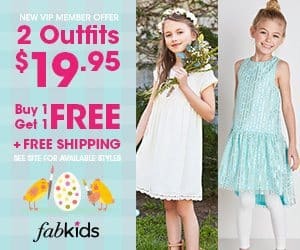 FabKids BOGO Free Offer: Get 2 Stylish Outfits for Just $19.95 + FREE Shipping! 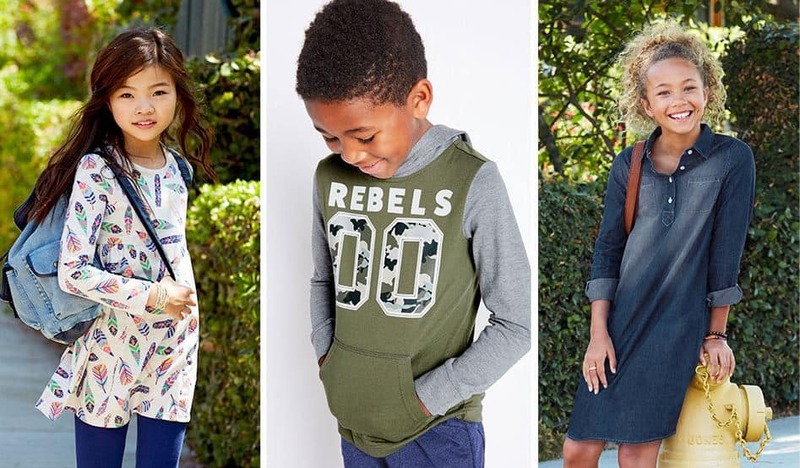 Update your child’s closet with affordable fashion for boys and girls from FabKids. For a limited time, new FabKids VIP Members can get 2 outfits for the price of 1 during this limited time FabKids BOGO Free Offer! Just click here to buy 1 outfit and get 1 free PLUS get free shipping on your first FabKids clothing delivery. FabKids delivers super cute kids clothes and shoes that are high quality and ready-to-play. Subscribe now to grab this FabKids BOGO Free offer and get 2 new outfits for just $19.95 + FREE shipping! This FabKids BOGO Free Offer enrolls you in a paid VIP membership program. If you do not make a purchase or Skip A Month between the 1st and the 5th of the month, your credit card will be charged $29.95 for a member credit on the 6th until you cancel. You may cancel at anytime by calling 1-855-FAB-KIDS.